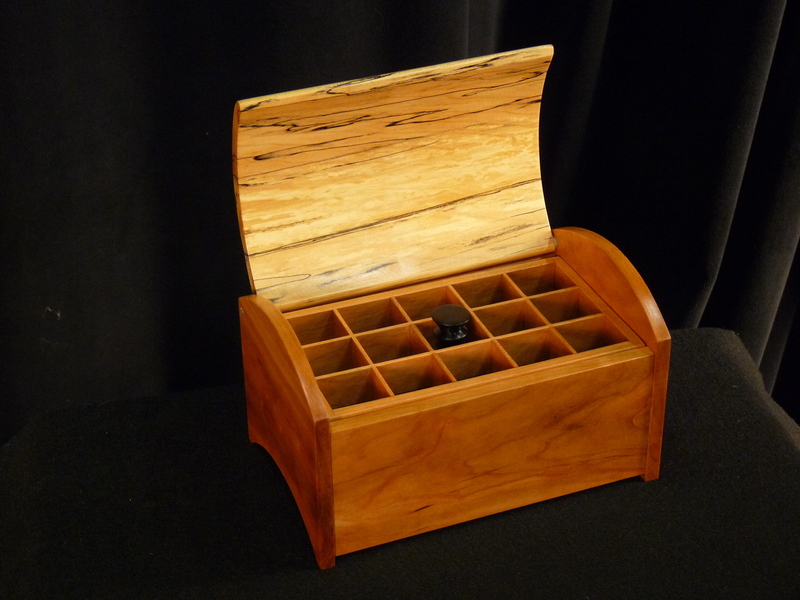 Spalted maple, cherry and African Blackwood with 29 compartments for earrings. 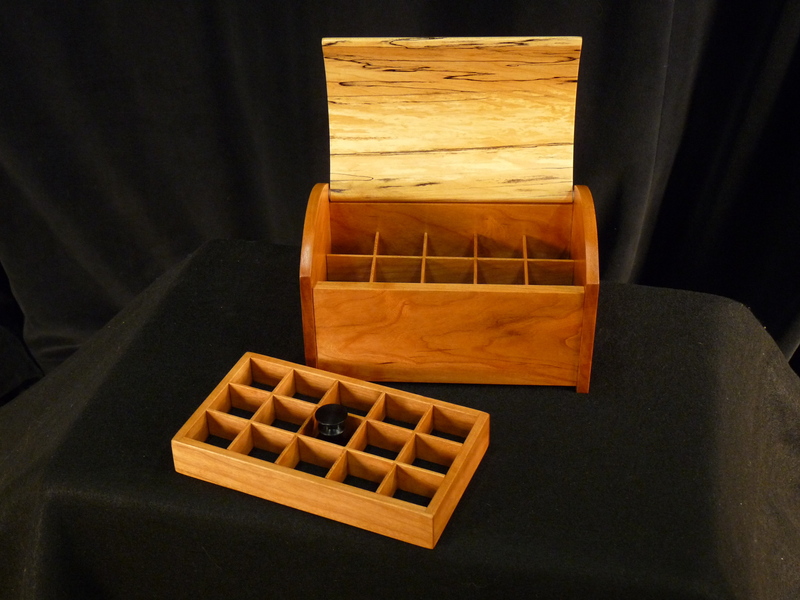 Do you have the earring boxes stocked or are they made on a commission basis? Also, are you accepting guitar commissions at this time? I usually build everything on demand. 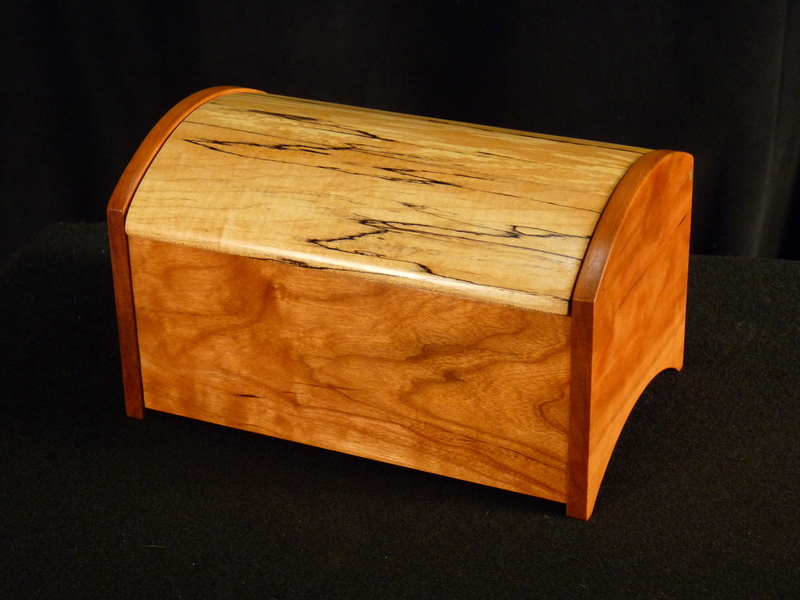 I can get a jewelry box finished in around two weeks. I’m always open to guitar commissions. Depending on the type and the time of year, there would be at least a six month build time. Email me at acornhouseworkshop@gmail.com with your needs and can give some cost estimates and options.